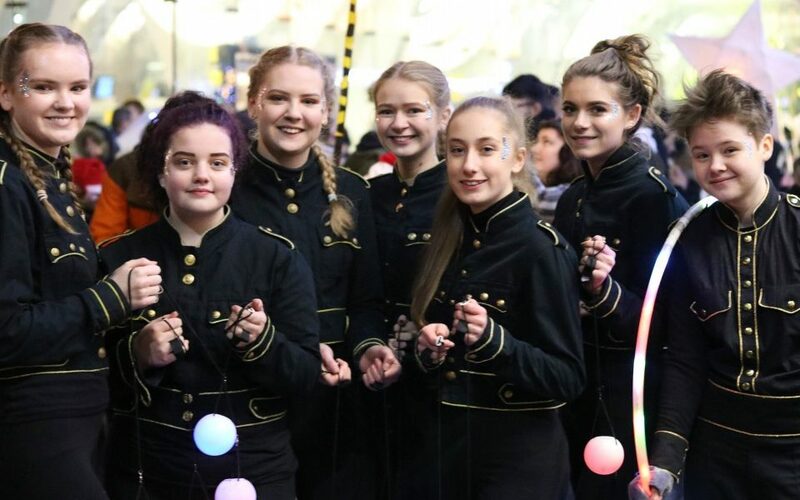 The Rev Kate Bottley meets "The Winter Sprites at the Festival of Light"
Blackburn Cathedral saw a packed congregation, full of families and children, to enjoy a traditional Carol Service attended by the Mayor of Blackburn Councillor Colin Rigby OBE. The event, which was conducted by Bishop Philip North, saw children invited to join in a special rendition of “Away in a Manger”, the beautiful voices of Blackburn Cathedral Choir and stunning musical arrangements by the Salvation Army Band. The service was supported by Blackburn with Darwen Borough Council and Blackburn Business Improvement District. 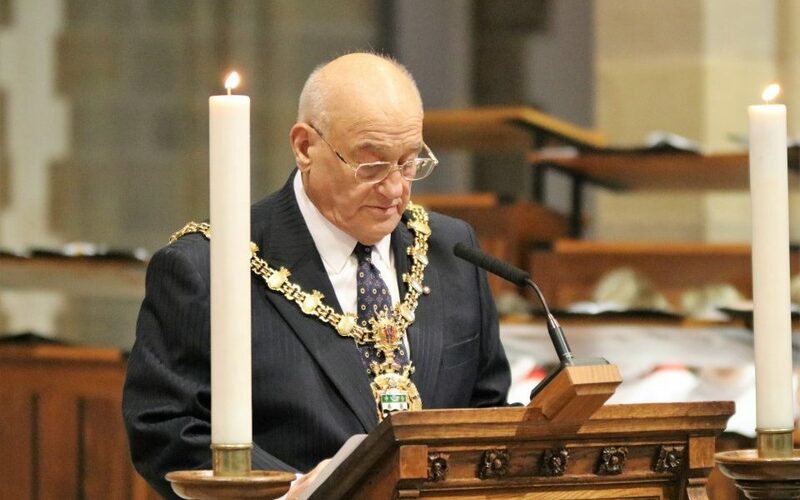 A collection was held for the Mayor’s nominated charities. 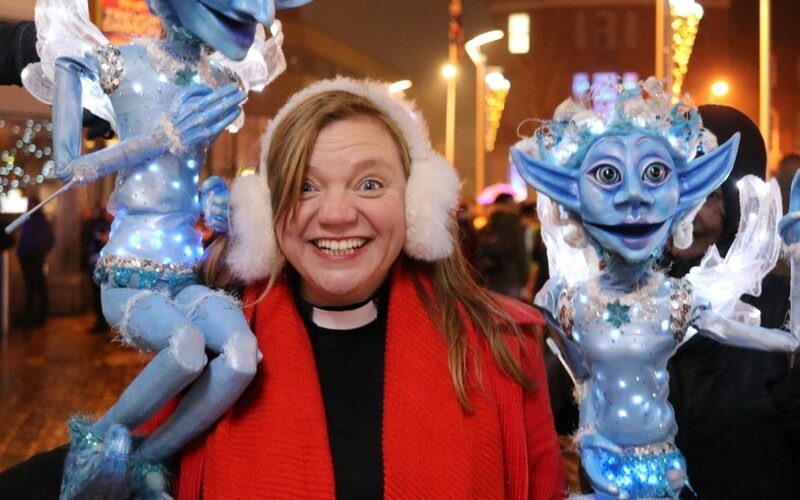 TV and radio personality Reverend Kate Bottley, well-known for her appearances on Channel 4’s Gogglebox, was a guest at the event, after earlier meeting crowds in The Mall, Blackburn. 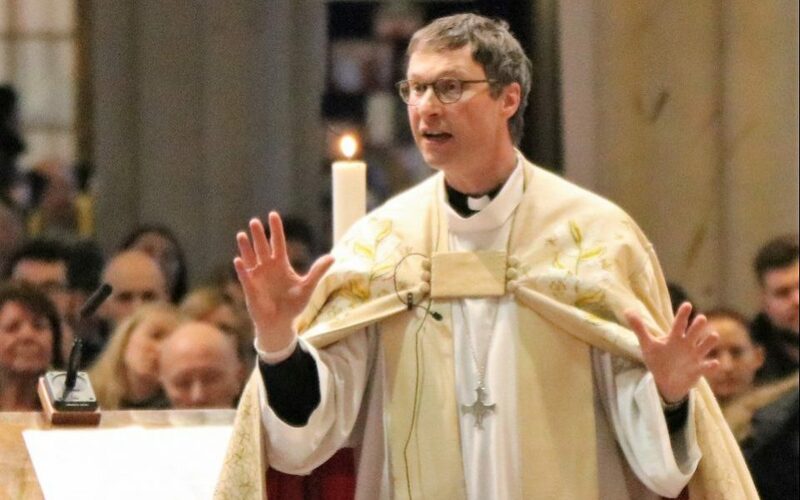 “The whole Christmas programme this year has offered something different and unique which has really helped Blackburn to stand out and is something which we will build on for next year. As the congregation left the service they were greeted by music and projections onto the walls of the Cathedral using an innovative mobile projector system which emblazoned the bees, birds, flowers, shuttles and the hive from Blackburn’s coat of arms across the building. The Festival of Light’s Lantern Parade saw hundreds of hand-crafted lanterns bobbing above the crowds, from a giant dove to decorated umbrellas and stars. Many participants who had been building their lanterns at over 30 workshops which had been held across the borough. Illuminated, drumming stilt walkers led the parade and wove through the town’s streets finally ending on King William Street in Town Hall Square. 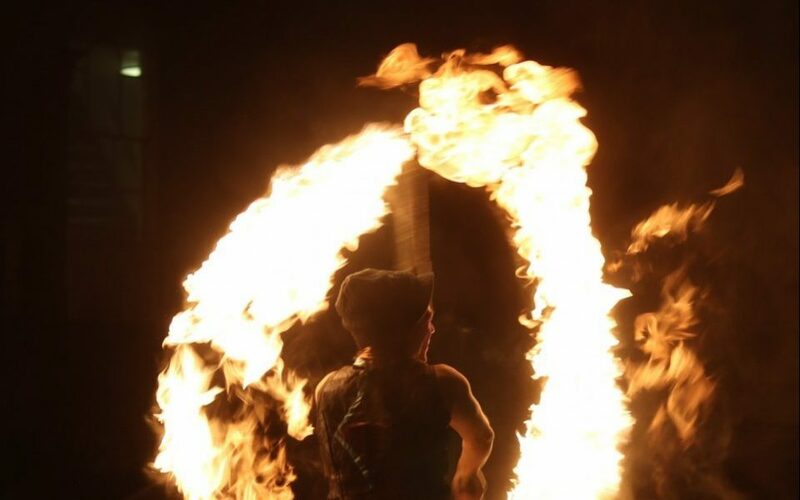 The crowds were then treated to fire and light performances including the internationally acclaimed Flame Oz. 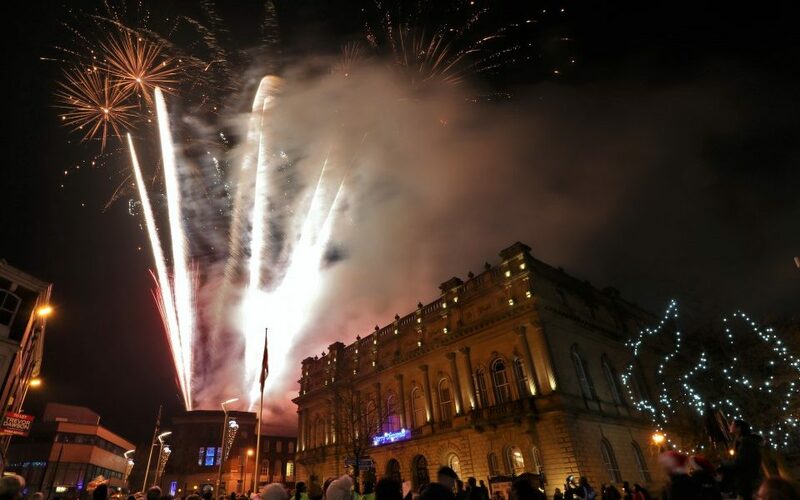 The evening ended at 7pm with a dazzling firework display over the Town Hall, which was described as “breath-taking”. The Community Carol Service was supported and organised by Blackburn with Darwen Borough Council, Blackburn Business Improvement District and Blackburn Cathedral. 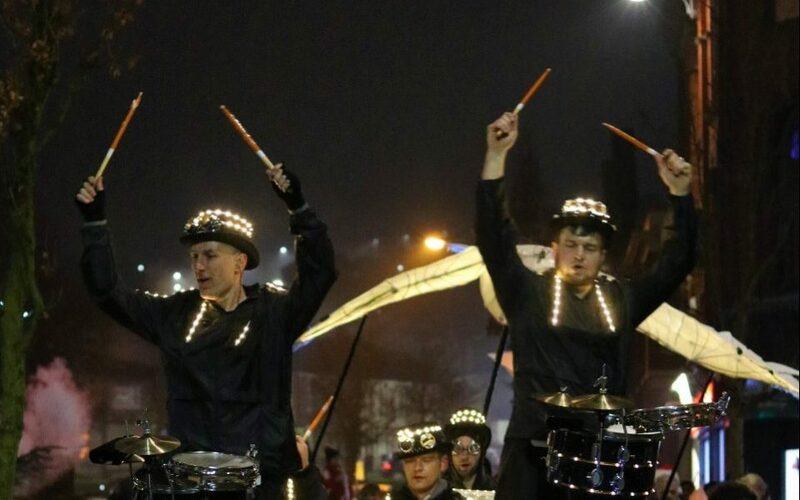 The Festival of Light, which occurred Saturday, December 16, was organised by the Festival of Light CIC and was supported by Blackburn with Darwen Borough Council, Blackburn Business Improvement District with additional support from the National Lottery and Arts Council England.